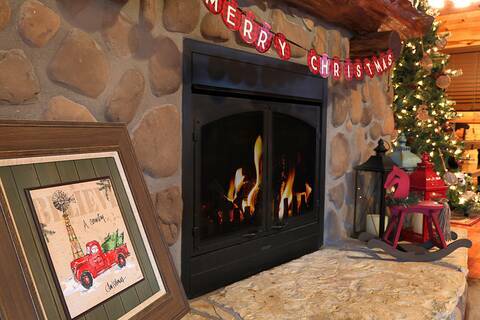 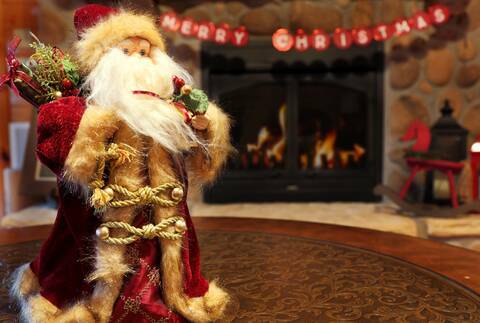 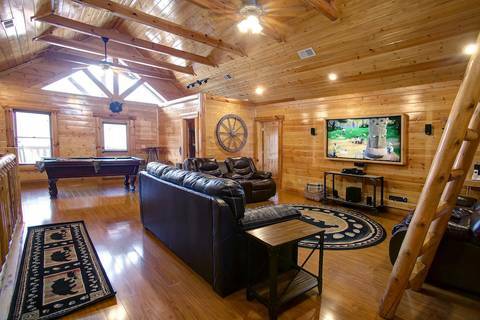 The main floor has a spacious living room area, a cozy electric fireplace, and a 43" TV with Comcast service and blue ray player. 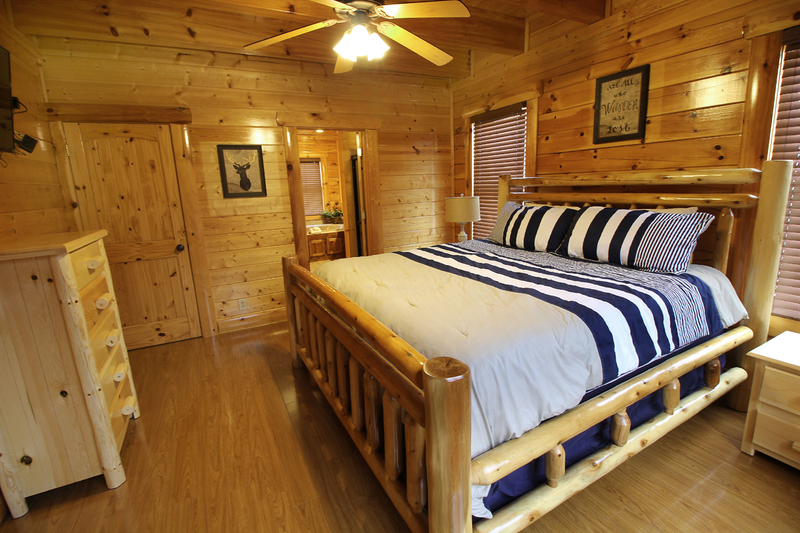 This floor also has two master suites, each with king size beds 43" flat screen TV's, full bathrooms with a jacuzzi tub and stand up shower. 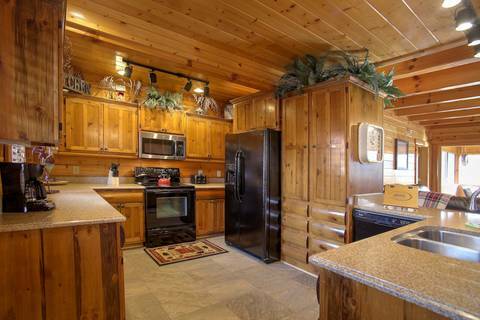 This floor also has an awesome fully-equipped kitchen with new appliances and a dining area with plentiful seating. 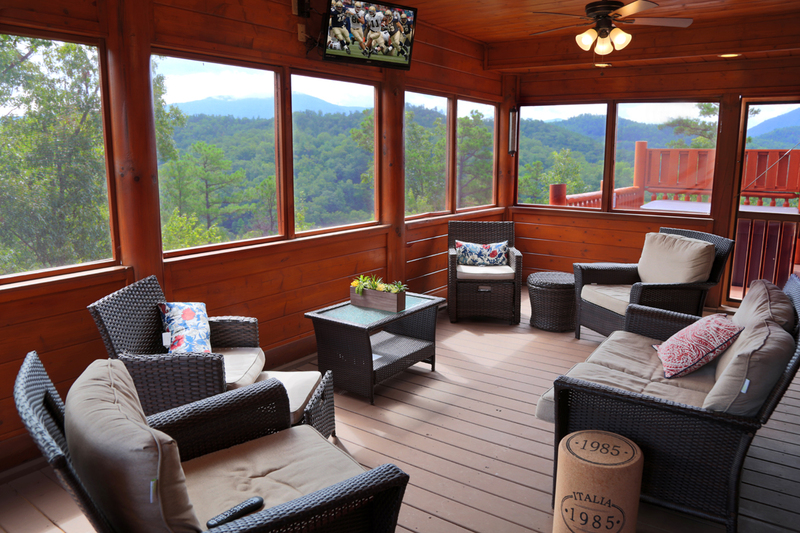 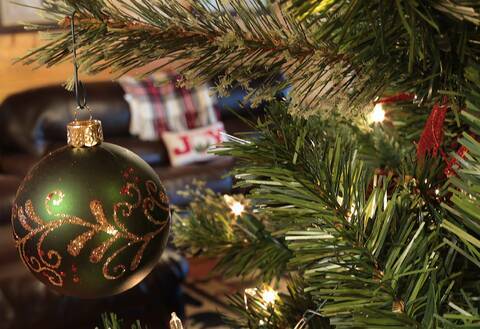 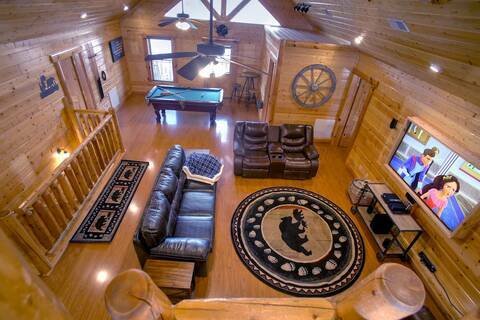 Off of the living room you will find a screened in deck with plush seating a 32" TV with cable service. 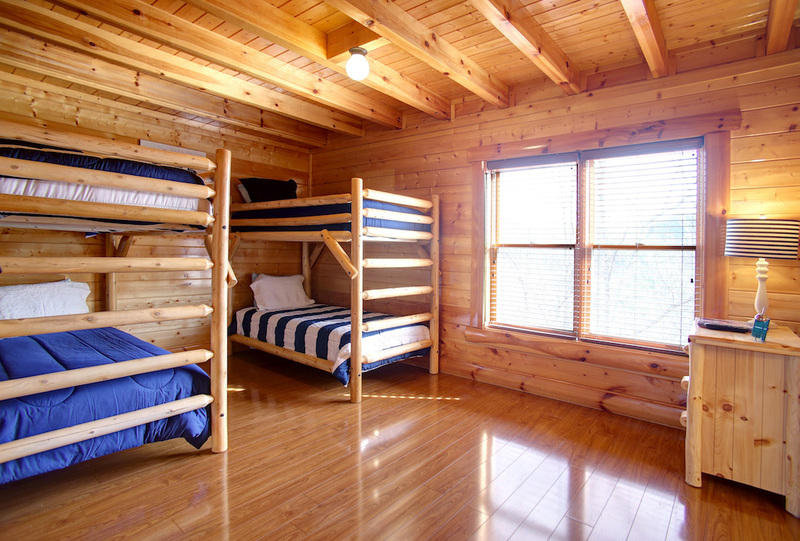 On the upper floor there are three more bedrooms, 2 with Queen size beds and one with two sets of twin bunk beds, all 3 have private bathrooms equipped with tub/shower combos, and 32" TV's with cable service. This floor also has a laundry room with a full size washer and dryer, game room area with a fun pool table and additional seating area with 70" 4K HD flat screen TV, cable service and Blue Ray player. 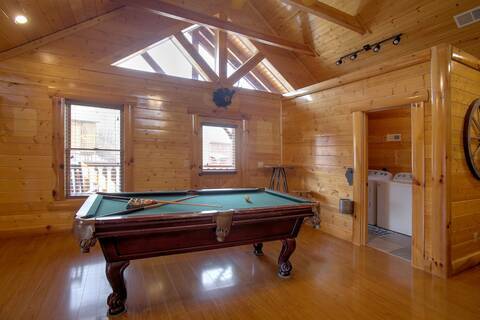 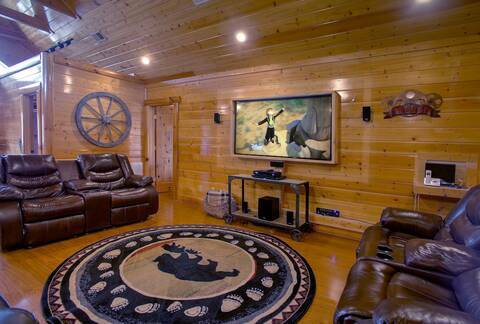 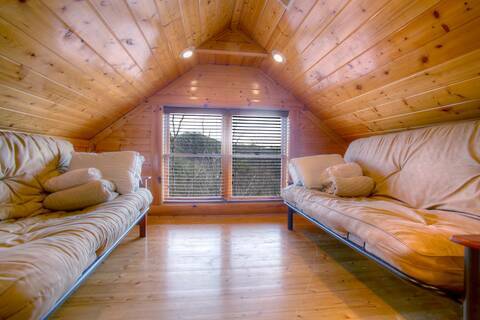 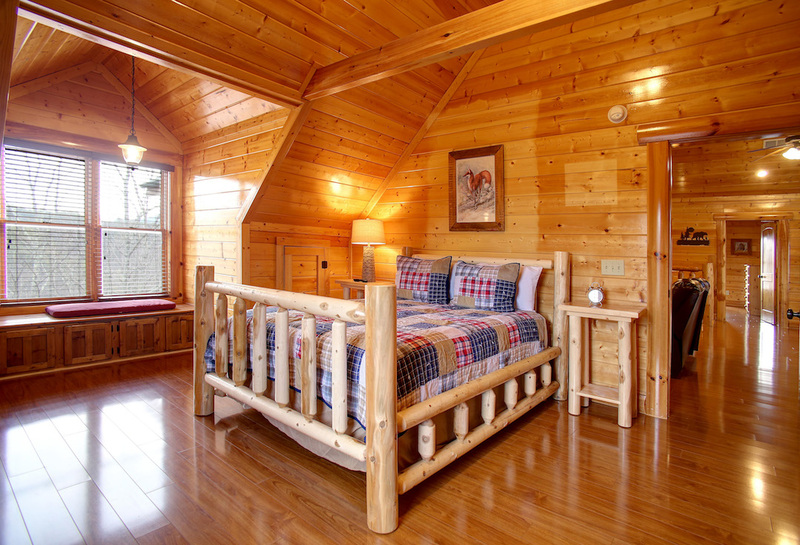 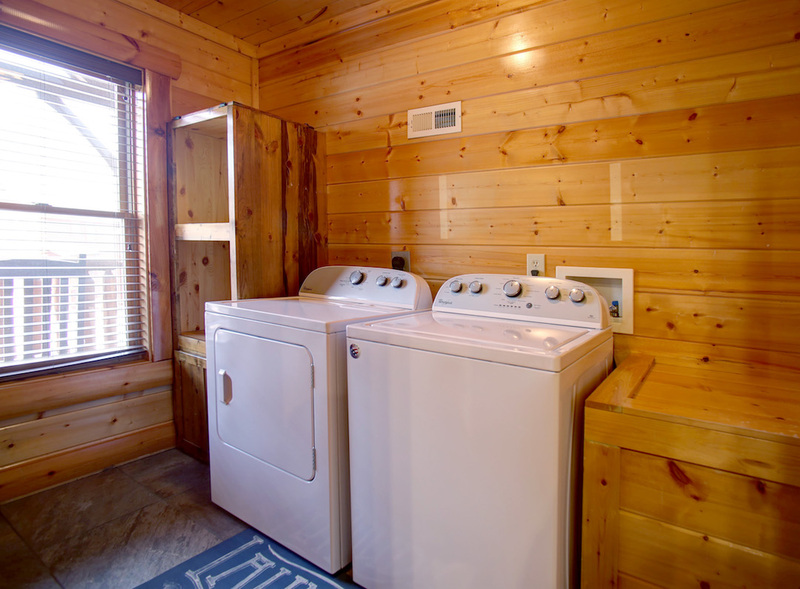 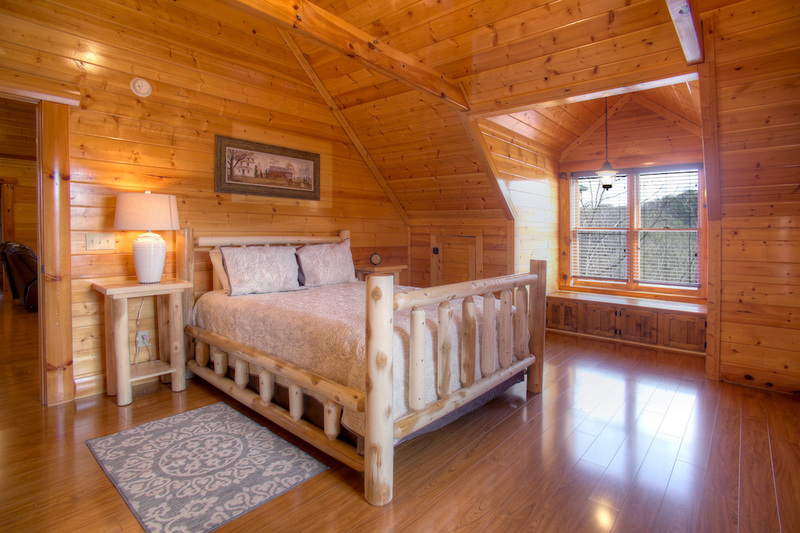 Off of the game room you will find a "crows nest", accessible by the wooden log ladder, with 2 futons perfect for sleeping kids or young adults! 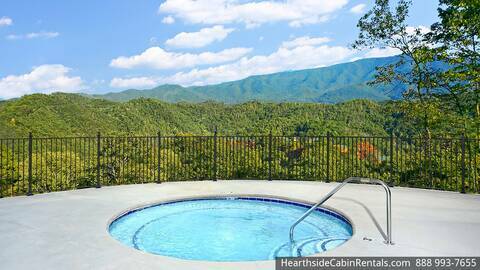 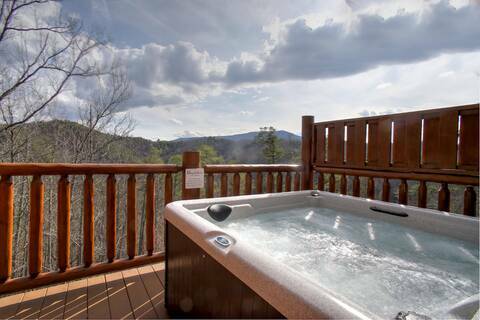 On the deck is the hot tub and rockers to help you to relax. 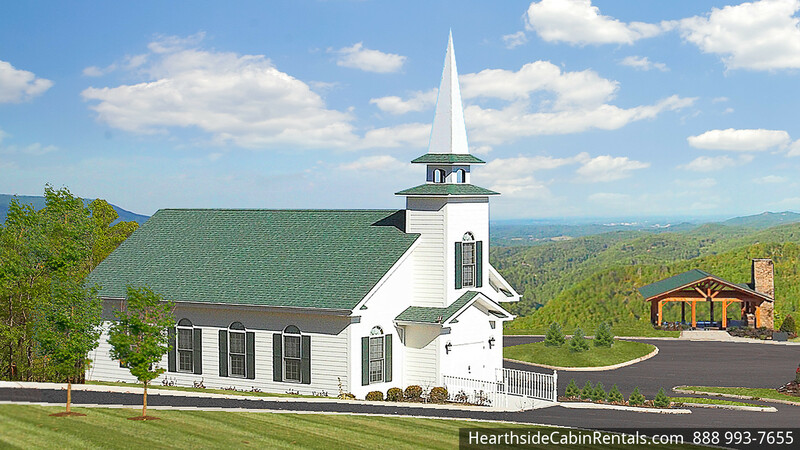 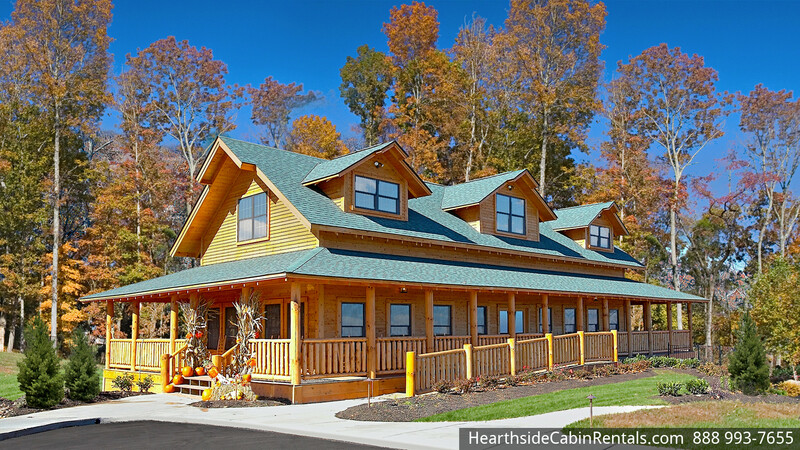 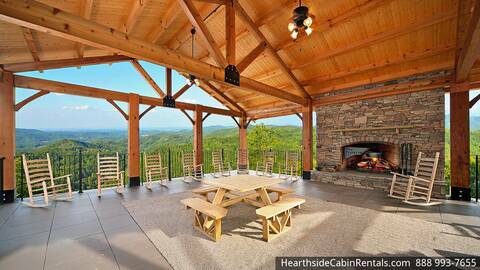 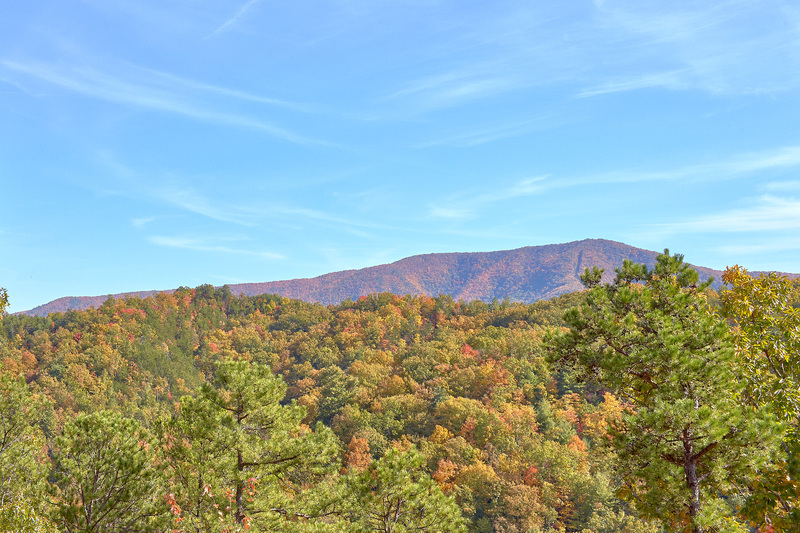 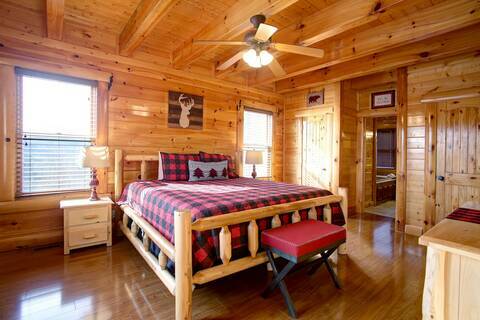 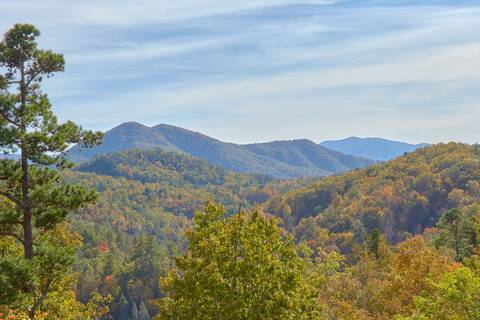 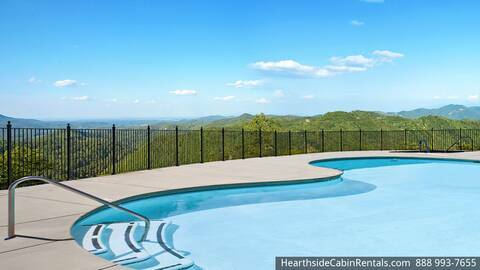 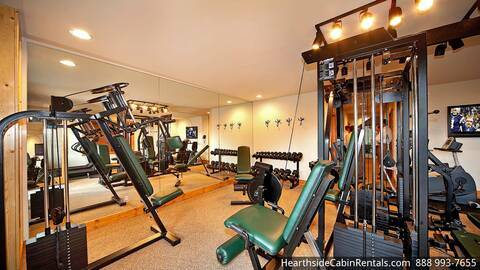 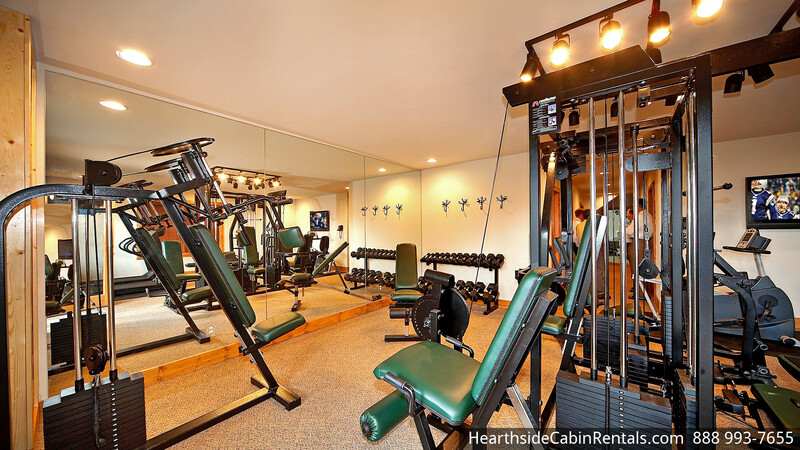 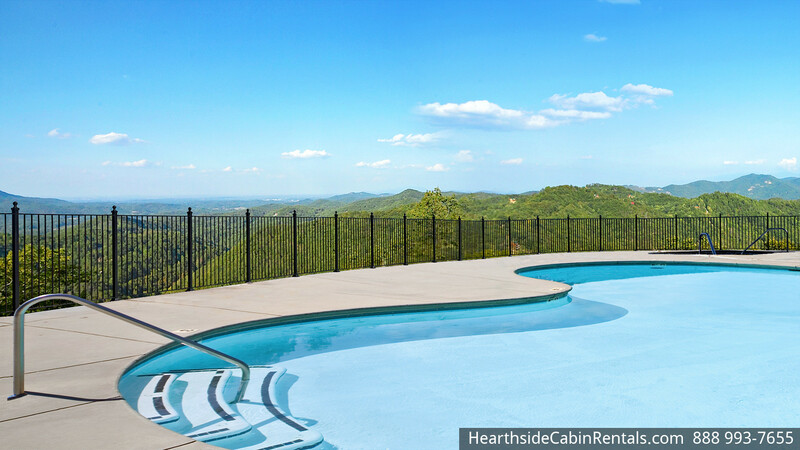 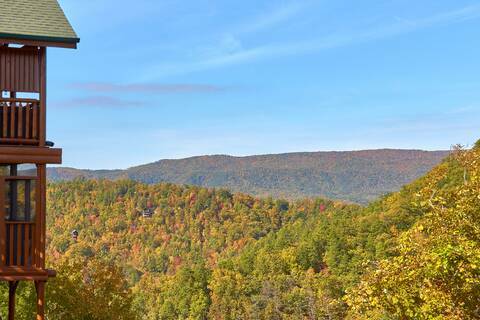 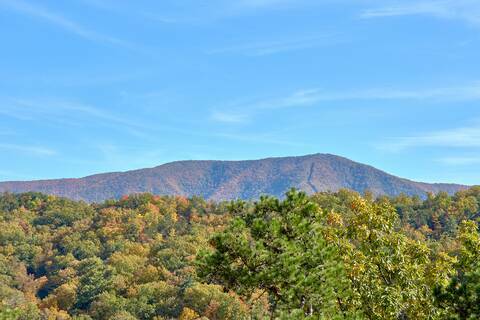 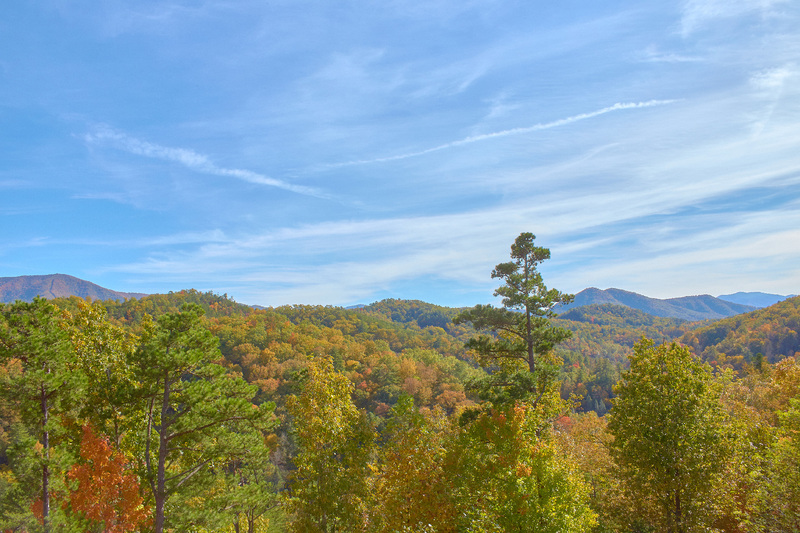 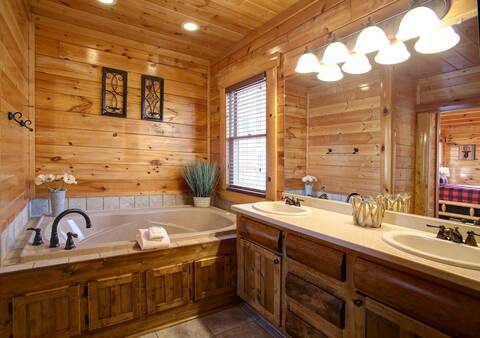 It has easy asphalt paved access right up to the cabin and plenty of parking. 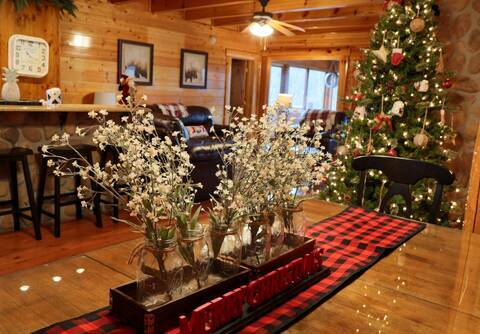 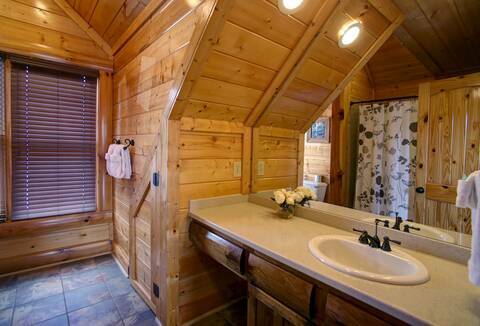 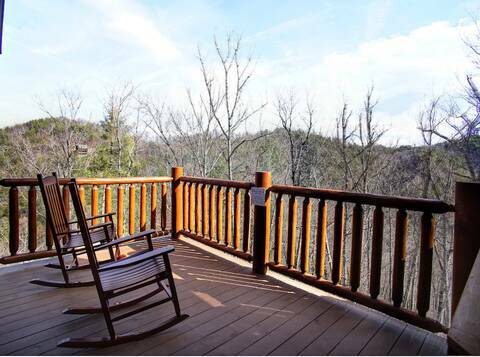 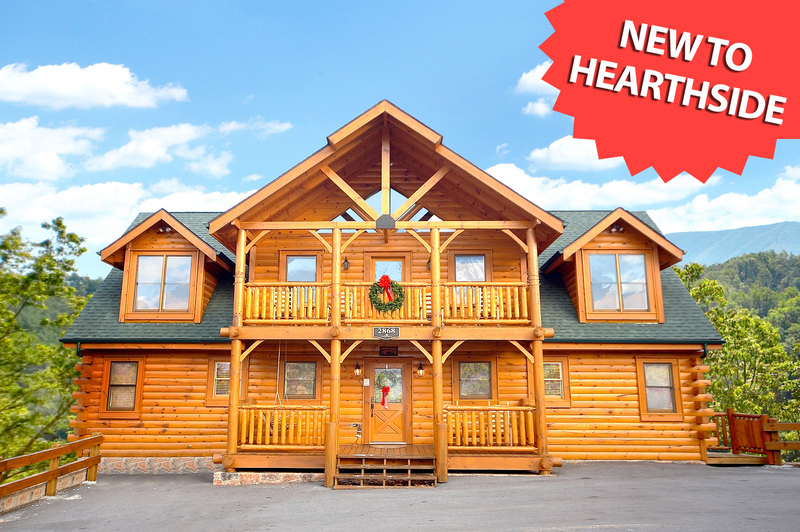 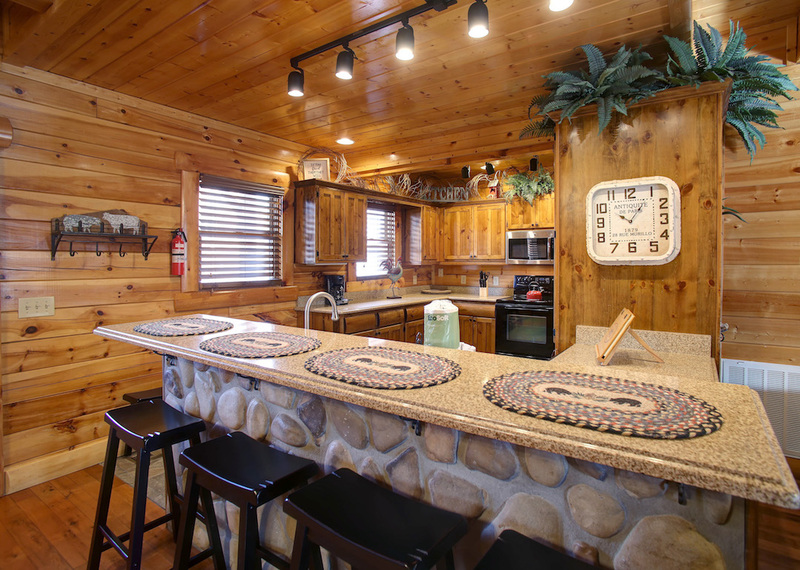 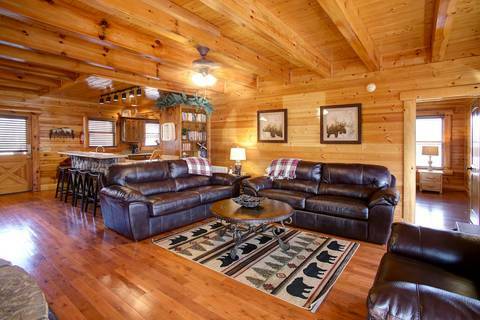 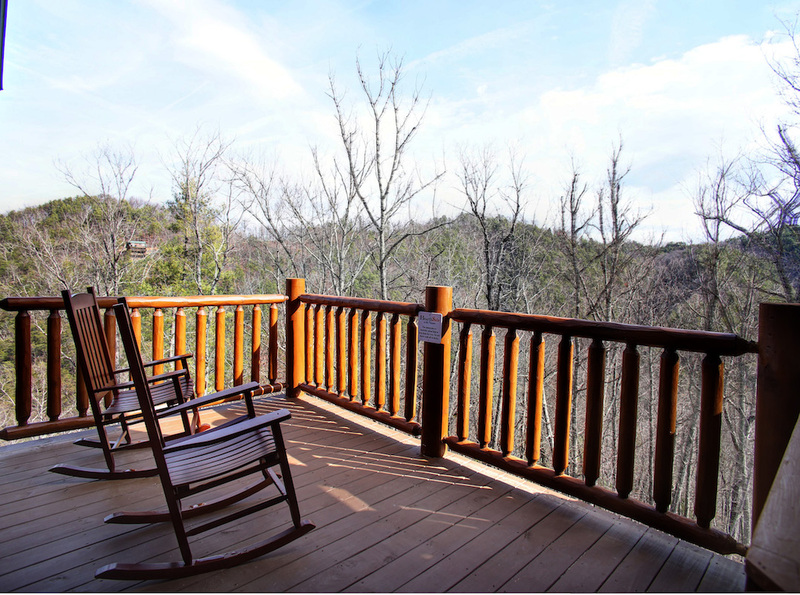 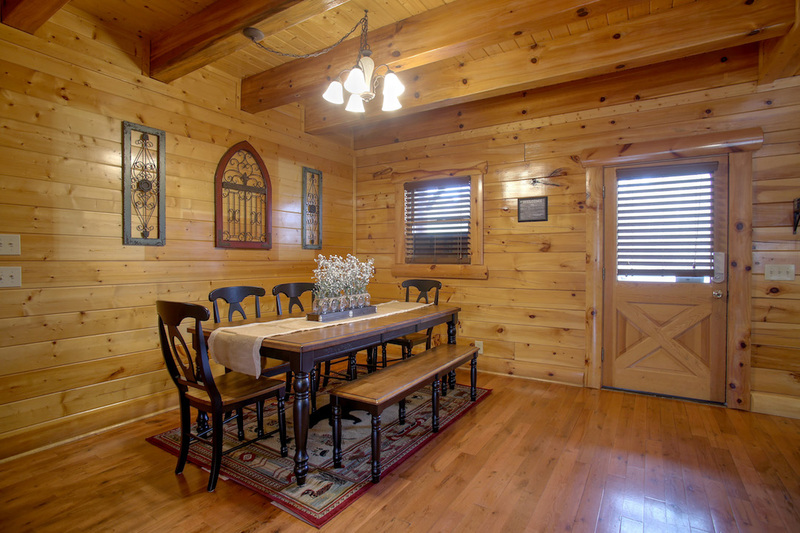 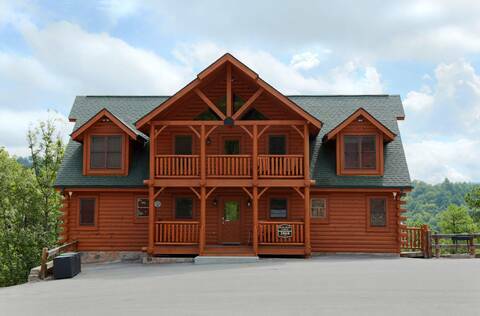 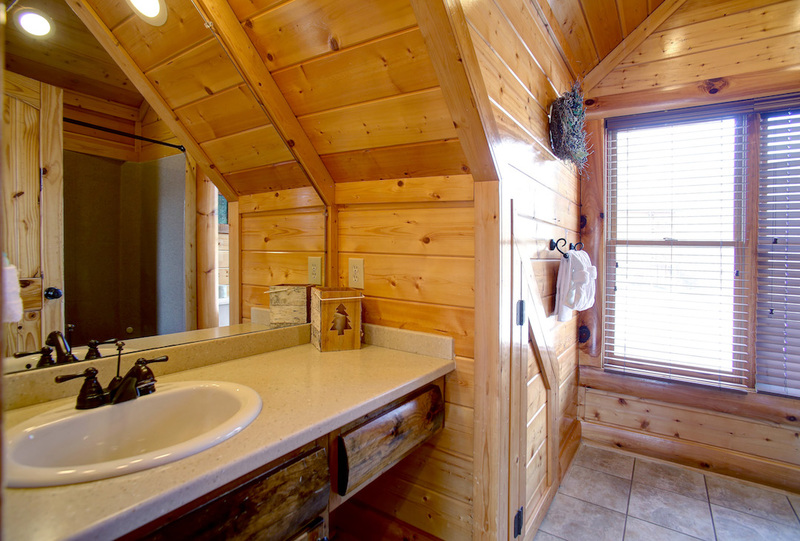 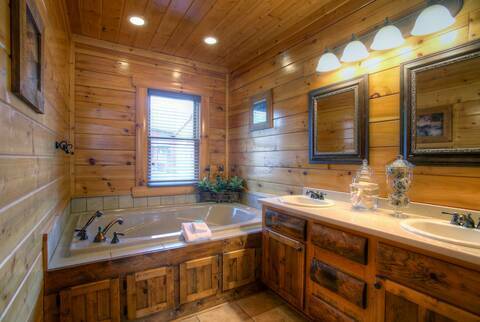 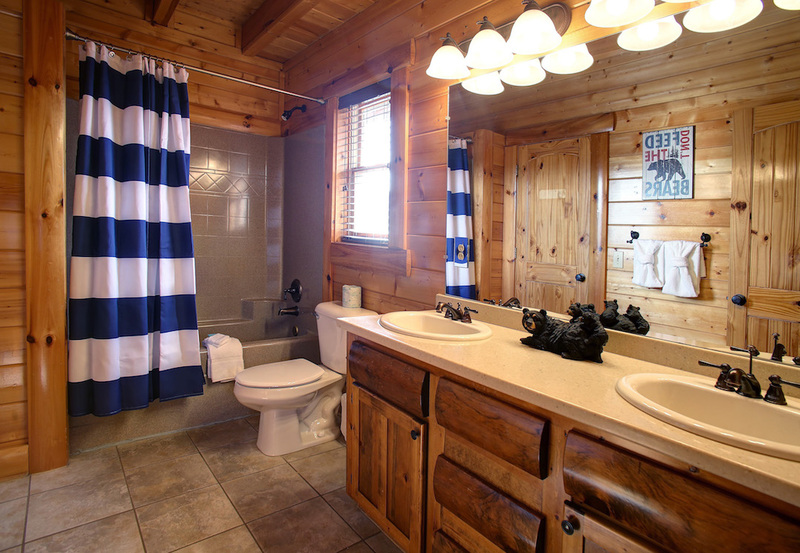 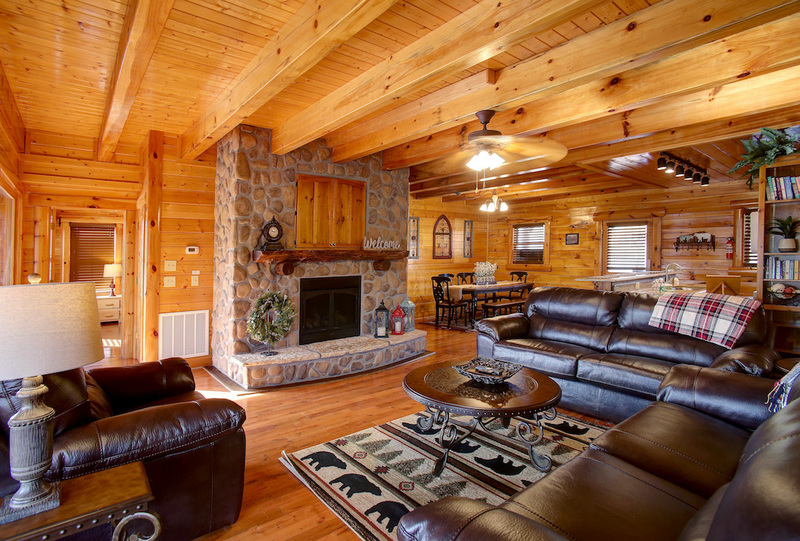 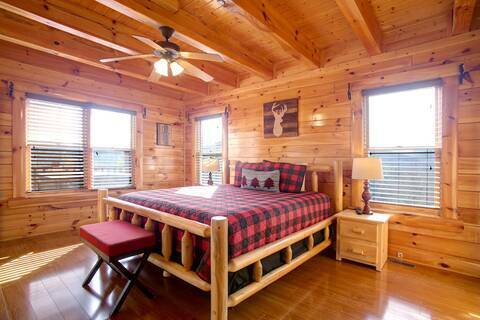 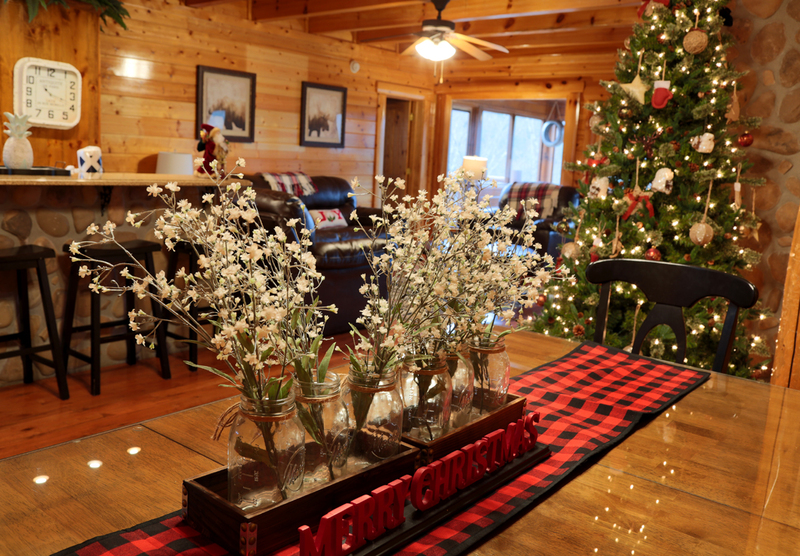 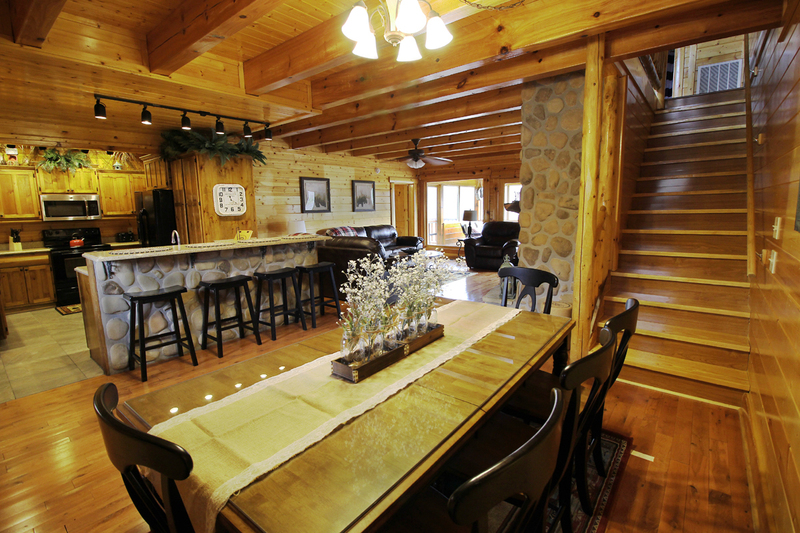 With the location, the tasteful decor and furnishings, "Bear Trail Lodge" may be just the perfect cabin for your family's mountain getaway. 7 TVS, 1 big-screen TV, blue-ray player, 2 Jacuzzi Whirlpool tubs, electric fireplace, a charcoal grill, high speed internet, motor coach accessible, pool table and so many amenities we can't name them all!